Long story short: A fresh take on the railway hotel concept. Short story long: The great railway hotels of steam travel’s golden age were among the first businesses to define what hotels would actually become. They stood as monuments to civilised living, and not having to share your sleeping quarters with several strange, flea-doused ne’er-do-wells. It’s astonishing, really, that so many of them were allowed to go to rack and ruin over the centuries, but there is at least a small renaissance in quality hotel properties that overlook the train lines of London. 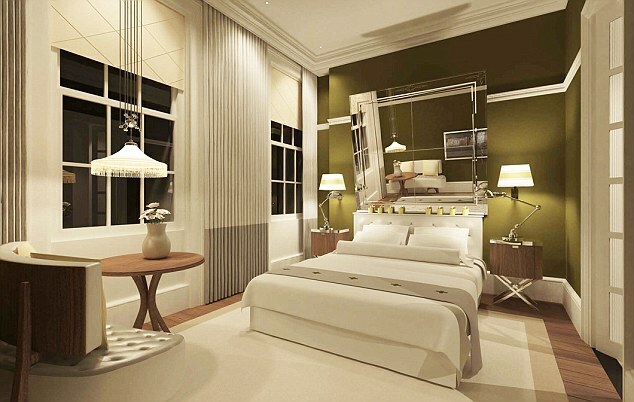 One is the Grosvenor at Victoria Station, a fine, large-capacity property with a grand history. 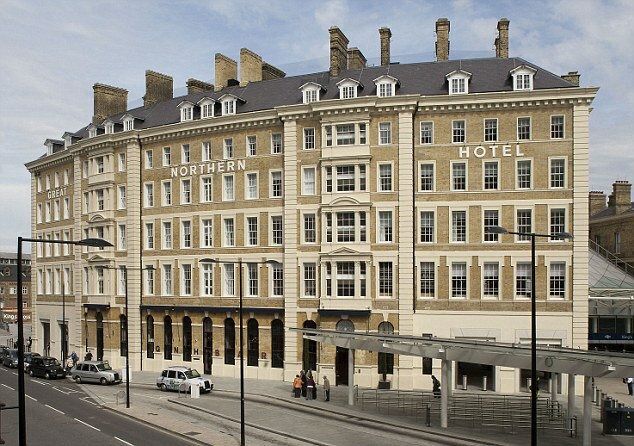 The other is the Great Northern Hotel at King’s Cross, which is a different proposition altogether. Opened earlier this year by serial entrepreneur but first time hotelier Jeremy Robson, The Great Northern is a boutique property in a plum spot between King’s Cross and St Pancras stations, riding the wave of development that has transformed this part of London. Previously you wouldn’t want to hang around during the day, let alone at night – now it’s all piazzas and new media offices and deli sandwiches. Let’s start with the essentials. There is unlimited free cake. I know, the rest of the review is almost superfluous. Actually the cake supply MIGHT be limited, but this correspondent did not discover those particular confection boundaries. In the Great Northern Hotel, Robson has bought together the elements that make for a wonderfully memorable and comfortable stay that many other hotels hint at but very few very actually deliver. You’re checking into a listed building that has been designed with such obsessive attention to detail that you wonder anything was ever actually decided on. From the modern but timelessly stylish chandeliers in the public spaces to the bedside tables fashioned after leather Art Deco vanity cases, a dedication to quality has been carried through every aspect of the hotel. The presumably expensive interior design has been put in place to withstand fashion and trends, and this is a place that will look as classically gorgeous, and not at all dated, in 30 years’ time. The smart crowd passing through the public bar could be doing so in the 1920s if it weren’t for the smart phones and laptops. 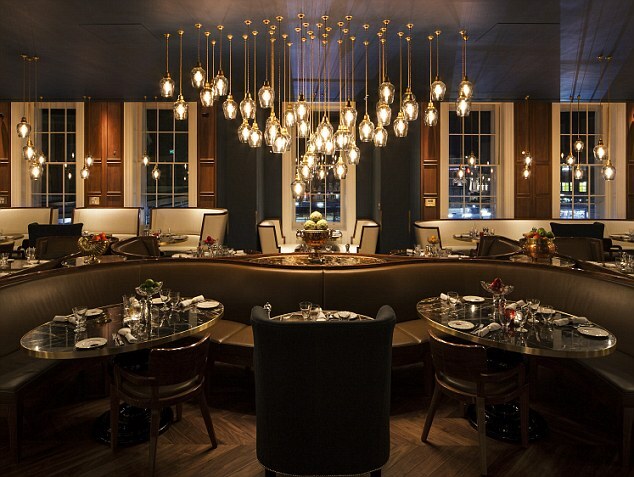 Up some very ornate staircases, Plum and Spilt Milk (named after the colours of the livery of the Flying Scotsman) is a solid restaurant under the capable hand of Mark Sergeant, the impressive dining room changing in the copious light from breakfast to dinner service. The hotel also runs an outer eatery. Next to the train platforms is a kiosk called, er, Kiosk, that serves up deliciously meaty sandwiches carved right in front of you. Lots of hotels have great design and food and beverage outlets, though. But Robson has upped the stakes with his commitment to home comforts. There is free internet – cheap thrills, I know, until you discover it’s possibly the fastest connection you’ve ever experienced. There are free films loaded into the TV – 60 or 70 of them, and high quality releases, not just some tat that went straight to DVD. There are music playlists and high end toiletries and a newspaper. But you want to hear about the cake. So, at the end of each floor, there is a pantry. Nothing bad ever happened with the addition of a pantry. You can sneak (and it does feel a bit like sneaking) in at any time to find any manner of treats. There are jars of retro snacks (hello, Wagon Wheels), tea and coffee of course, and then in the afternoon, some kind of baked good fairy leaves a cake under a glass cover. And you can just help yourself, as if my dietary practises needed any kind of push along those lines. In short, Robson has melded the best aspects of high-end design, timeless aesthetics and comforts that guests are encouraged to help themselves to (rather than someone delivering cake to your door every afternoon, which would seem weirdly formal). It feels grown up and respectful and decadent and homely all at once. Which is no easy feat. I can’t recommend the Great Northern Hotel enough. In a world where hotel stays rarely provide the good kind of surprises, this boutique railway property signals (sorry) a return to greatness – as far above many hotels as those first rail-side greats were above those rat-strewn travel taverns. Champagne tastes: Plum and Spilt Milk is decidedly swanky for a hotel restaurant. Shandy Pockets: So many great freebies. The super-fast internet. The films. THE CAKE. Review by Paul Oswell. Paul Oswell stayed at the Great Northern Hotel, Pancras Road (www.gnhlondon.com). Rates from £165 per night.